This weekend has been action packed for the rugby community. 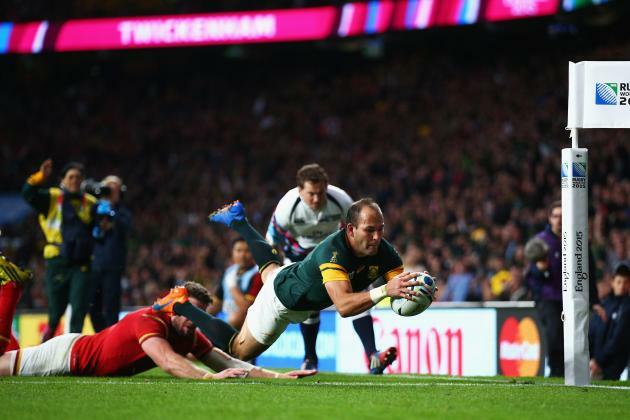 The Rugby World Cup 2015 Quarter Finals took place, with 8 teams being narrowed down into 4. There was blood, there were injuries, there were sin bins and tries-galore. Here’s your quick update on the hectic times. An Englishman walks into a bar. Usually there’s a Welshman, a Scotsman and an Irishman there too, but they’re all still at the Rugby World Cup. 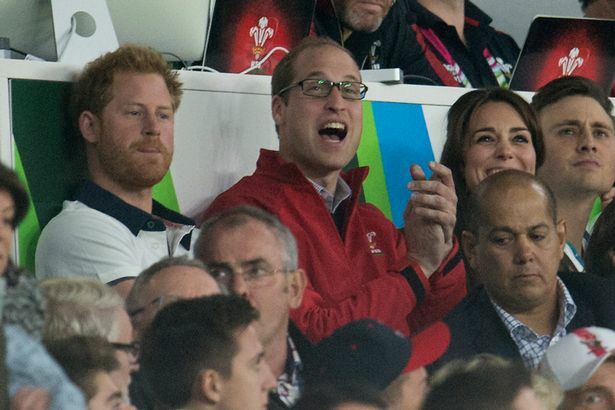 Perhaps a little bit of pride regained for the English to watch Wales go out – or is that just me? Either way, it was a tense match. Up until the 75th minute, there was no clear side in the lead. Throughout the match the lead rarely stretched more than 2 or 3 points between the teams, until Du Preev was handed the perfect offload from the Man of the Match Schalk Burger, putting South Africa into the lead with only 5 minutes for Wales to try and stop them. But they couldn’t, and Wales was sent packing back to Cardiff. South Africa made a whopping 528 meters, while Wales made only 271. The Springboks also made 9 offloads to the Welsh 5. Overall, it was an incredibly tense match with both teams playing amazingly. However, that’s the chance of one less Northern Hemisphere team going through to the Semis….. This was a great match, though the scoreboard made it look one-sided. With the halftime score being 10 – 20 to Argentina, it looked like it was all to play for. An Irish team without Johnny Sexton and the legend that is their Captain Paul O’Connell, both of whom were injured in the final pool match last weekend – with O’Connell looking unlikely to play for Ireland again. But they were fighting at the end of the first half, despite the dismal beginning and incredible Argentinian side. When they came back in, they were coming back fighting. Argentina and Ireland both played brilliantly, but although Ireland were clawing their way back, Argentina were brilliant. As they snuck past and powered through, they proved to be the deserving side. So it was that yet another Southern Hemisphere team won, with Sanchez getting Man of the Match. On another note, there was an impressive feat of bravery from Kearney, who dislocated his fingers, had them popped back in, and then kept playing – no wimpy football-faking injuries here, thank you very much! The best of all the quarters. Scotland, who had the ‘wooden spoon’ in the 6 Nations – failure to win a single match – were not expected to come up to much. After all, they were going to play against Australia, the second favorites to win the whole tournament! But was that the case? Not in the slightest. The brave Scottish men went straight for it, securing an early 13 – 0 lead in the first 20 minutes. 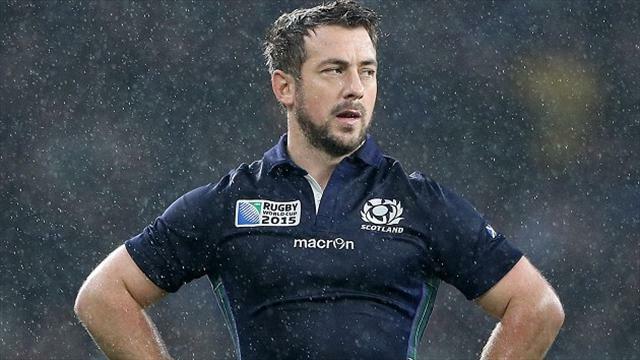 Scottish Captain Greig Laidlaw (Man of the Match) powered his team through the Australian defense as the Wallabies made mistake after mistake. The Scottish even put in a few impressive turnovers, and it was incredible. Coming into the second half with 10 – 13 to Scotland, Australia pushed them to the limit and maximized on the sin-bin at 41 minutes that was a “harsh” in the eyes of the ITV commentators – and myself. At 70 minutes, it was 32 – 27, and it looked like it was all over. But then Mark Bennett intercepted an Australian pass and sprinted to the try line, taking it to 34 – 32 at 74 minutes. This resulted in massive cheering, and the 6 most intense minutes of any Scottish rugby fan’s life. For a few minutes, it genuinely seemed like Scotland were going to hold off against Australia’s desperate attempts to fight back, but then a line-out gone wrong caused an Australian penalty at 79 minutes. Foley finally figured out how to kick accurately – he’d missed quite a few! – and with a beautiful kick bisecting the posts, he ended Scotland’s hopes. Although many have commented that the Referee Joubert made harsh calls against Scotland, and the last minute penalty should definitely have gone to the TMO (Television Match Official), it’s over and there’s nothing to be done. Australia played well once they got over their blunders, and Scotland put on a fight no one expected. A brilliant yet heartbreaking end as the Southern Hemisphere dominates the semis. Well, you’ll get more new next weekend – as New Zealand play South Africa, while Argentina take on Australia. Posted in Sports and tagged ecolint, featured, la chat, rugby, Rugby World Cup 2015, the update. Bookmark the permalink. Should you buy the brand new iPhone 6s?